Illegally sold as a ‘climbing boy’ – a chimney sweep’s apprentice – for the pittance of back rent owed on the shack he and his mother had lived in before she died, Zachariah is now nothing more than a slave to his owner, an abusive drunk. His mother dead these past five years, the image of her face fading from his memory, the boy struggles to remember… but now she appears only in deep shadow, even in his dreams. She is gone. Then, on the day before Christmas in 1843 – the very same mystical Christmas Eve that Scrooge received his three ghostly visitors – the familiar face of a kind woman strikes a deep chord in Zachariah, one that rekindles the memory of his mother, and gives the boy hope for a new and different future. "Loved it, best book I have read in years. A friend told me about it and loaned me a copy. Whatever I say would not begin to do it justice.Buy it or if necessary borrow it but read it and enjoy. I'm sure you will as I did, want it in your permanent collection. Mark is a true artist and I look forward to his next work..."
"A poignant read depicting the harsh realities of life for a small boy employed by a chimney sweep in the 1800s. The story does not glorify or embellish the child's plight, rather it show-cases the trials and tribulations of the era in a way that is both knowledgeable and sympathetic, yet does not hide from the extremes.This book kept me captivated from start to finish." 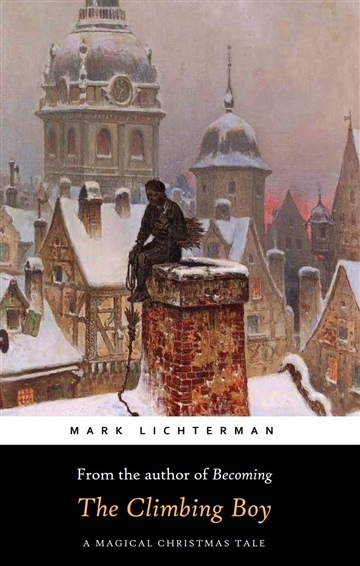 Written in a style that reminds one of Charles Dickens, and of the same time period, Mark Lichterman's story of The Climbing Boy is already a classic and should receive wide readership for its compelling drama, its impeccable depiction of the time and place, and its connection to our mythology about children and Christmas. In a single day, the life of a boy, Zachariah, enslaved as on the apprentice climbing boy for a mean, despicable chimney sweep, goes through multiple highs and lows of anticipation and grief as he struggles to "do right" by his trade and his master. One cannot help but reach out as you read and try to help this poor little soul. If you think A Christmas Carol and The Little Match Girl are poignant stories, you must read this one. I have to hand it to Mark Lichterman for his research and attention to detail and character. I certainly hope the story is made into a film. That way the non-reading public will also learn to cherish it. I see awards coming in the future for this fine work of literature. "This 'feel good' tale by Mark Lichterman, a relatively unknown, but upcoming author, is way more than just another Christmas story. Itis a classic description of the London chimney sweeping trade, brought to life by superb characterization of its main players. The reader immediately bonds with Zachariah, an eight year old child, who you want to bring home, bathe,feed, clothe and just cuddle. He will steal your heart while other feelings of anger, rage and resentment arise from the provocative personality of William Johnson, the boy's Master. Lichterman, in expert fashion, weaves a very twisted,intertwining yarn that has you holding your breath until the very end. This book is a must read and I can hardly wait to get a copy of the authors newest book, 'Becoming'."